Manuela provided an detailed tour of the historical center of Verona. All on the tour agreed that she was knowledgeable and engaging. She is an excellent guide. Manuela is very knowledgeable tour-guide, gave us very interesting tour of Ferrara with a lot of historical details. Manuela gave us a wonderful, thorough tour of the centro storico of Bologna. Packed with information and really interesting insights. We thoroughly enjoyed the walking tour and would highly recommend Manuela as a guide. Manuela gave us an amazing 3 hours tour in which we saw and learned more than if we would have spent 5 days only looking for sights! One of the best walking tours ever! Very knowledgeable and a pleasure to spend time with. My daughter and I thoroughly enjoyed our time with Manuela. She was very knowledgeable , obliging and fun to be with . I wouldn't hesitate to recommend her for a tour of beautiful Ferrara. Manuela did an excellent job of teaching us about Ferrara. She customized the tour to meet our interests, and was considerate of our needs. Manuela was wonderful. Highly recommend! My husband and I enjoyed our second visit to Bologna with Manuela's history and food tour. She is extremely knowledgeable when it comes to Bologna's history. I learned plenty. When it came to visiting shops, cafes and grocers, we were able to try local options, including the fabulous Mortadella and the horse meat sausage. Often new cities are difficult to manage when one doesn't speak the language. Hiring Manuela saved time and energy. I love letting someone else be the tour director on vacation. Manuela is just an outstanding guide. Her information on the sites we visited and on Bologna ,including history, allowed us to enjoy and understand the city so much more than we ever could have done on our own. Manuela was a pleasure to spend a day with! She was knowledgeable and enthusiastic. We learned a great deal about the history of Verona and you couldn't help but feel the passion she had for the city she was sharing with us. Thank you Manuela for a wonderful day! Manuela was our excellent guide for the day showing us round the main sites of Mantova and Sabbioneta half an hour away. They have an interesting history associated with the wealthy Gonzaga family. In addition she walked us through the former Jewish ghetto of Mantova and took us to the synagogues of Mantova and Sabbioneta as we had shown an interest in the towns' Jewish history. She added an extra dimension to our visit to Mantova and was very knowledgable about the historical art we saw. Manuel was an engaging and informative guide for our tours of Ferrara and Ravenna. Her energy and enthusiasm was contagious, and she provided a wealth of interesting information about these historical areas. Would definitely recommend Manuela for future tours! Excellent tour by Manuela. I really enjoyed our tour. 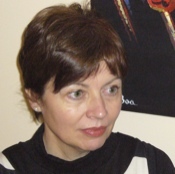 Manuela is extremely knowledgeable, interesting and a joy to be with. I highly recommend any tour with Manuela! Great Tour with Manuela. Very sweet and excellent tour guide. Manuela was a charming and informative guide. We are five ladies from England and thoroughly enjoyed our four hour private tour of Bologna. I love Manuela. She is smart. Her English is excellent. She met us at the tourist office. She was easy to find and extremely gracious, funny, and warm. She knows a lot about Bologna and I learned so much from her. Our trip to Bologna would not be the same without her. Manuela is absolutely fantastic - will definitely book her again when my parents visit. Highly recommend her to anyone interested in the history of Modena and learning lots of quirky stories! We have had a great tour with local Guide Manuela. She knows the history of Bologna very well and showed us the beste places. We were traveling with interior architects and designers and the appreciated the tour very much. What an excellent way to start discovering Bologna! Manuela is a very knowledgeable and enthusiastic guide who speaks an excellent English. She gave plenty of information about each site without overloading us. The group was saying that they could continue discovering Bologna with Manuela for days! Great job! Manuela is very enthusiastic about her city. We enjoyed our tour with her.. combining seeing the important and interesting sights of the city with some culinary information which we enjoyed. Manuela made our day in Bologna extremely enjoyable. She is obviously passionate about her city and its cultural and gastronomic history, and that passion was shared with us. We learned great deal about the city, and sampled a range of typical foods under her expert guidance. Manuela left us with a new appreciation of this very old and unique city. We would recommend her without hesitation. Manuela was a wonderful guide who had a lot of knowledge of Mantova and was passionate about her job. She met us at the train station which was very helpful and recommended a lovely restaurant for lunch. A great tour in Parma's city center. Manuela has a huge knowledge and is really good at explaining in a pleasant and understandable way history, culture and life in Parma. Her tour was very interesting and her recommendations led us later to further discovering the city on our own. Thank you, Manuela! My tour with Manuela on Dec 12 was a dream come true. I was seeking an authentic experience of the city with a local and I found it. Manuela was extremely knowledgeable about Bologna and incorporated many different topics throughout the tour. She had my attention the entire time. 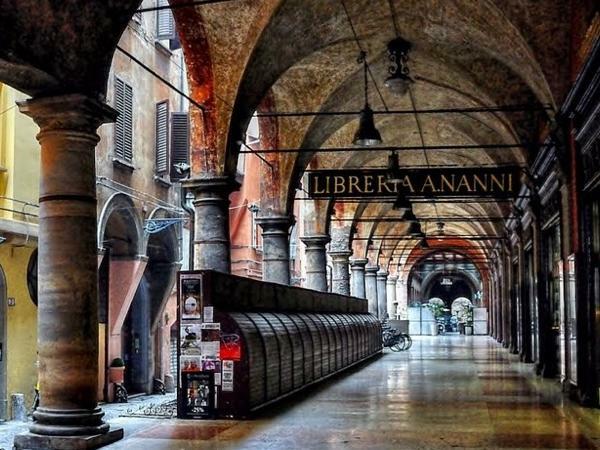 Bologna has many hidden treasures that can easily be missed. Manuela was great at pointing them out...interesting, thorough, and well supported explanations of all things Bologna. I recommend one of her tours without reservation. Manuela was a brilliant guide. Absolutely first class tour. 5 our of 5! Manuela is great! The tour was a nice balance of history and highlights. We enjoyed a couple of tastings and learned about the food of the region all while soaking in the beauty of Bologna! Manuela was a terrific guide. She wasted not a minute and we covered a lot of sites. She also suggested things for us to do in the afternoon. She's passionate about Bologna! Emilia Romagna has very rich history and has a lot to offer to see and explore. Our guide, Manuela, made the trip really memorable. She has great knowledge about history and art of the area and is very generous to share it with passion, which is contageous. We were very lucky to had her as our guide. Manuela is an excellent guide. She knows her history, loves her city -- and its art and architecture. We would highly recommend her. She really makes you understand and appreciated this city. Manuela was very knowledgeable. She knew I was thinking of retiring in Italy and gave me lots of info and tips. A great tour tailored to what I was looking for. On a recent trip to Italy, we used Tours by locals for several tours. Manuela gave us an excellent tour of Bologna. She was very animated and knowledgeable. She really went above and beyond! Manuela was ful of energy and love for her city of Mantua that easily translated in a most enjoyable visit. Great sense of humor and keen knowledge of every detail. Highly recommend. Manuela went out of her way to help with every request. Manuela was extremely knowledgeable. She is interesting, and friendly. Her English is excellent. . We emailed many times before the tour, and she answered all my questions and responded to my email promptly. I highly recommend her. Manuela is a powerhouse! She worked non-stop from the moment we met her. She is a passionate storyteller and filled us with energy as she guided us effortlesly around beautiful Bologna, The city is full of surprises and around every corner is another treasure. By the end of the tour (which seemed endless) we had a full cup of knowledge and were well satisfied - Thank you Manuela. Our guide, Manuela, is very knowledgeable and was very well prepared for our tour. Perfect logistics. Her tireless guide made our trip very valuable. Manuela was a fabulous guide. Considering it was one of the hottest days in August, she gave us one of the best tours we've had traveling! 5 Stars are not a high enough rating for Manuela. What a fabulous tour guide. Besides from her tremendous knowledge and ability to communicate she is also one of the nicest and kindest women we have ever met. Completely flexible and accommodating, good characteristics to have when touring Italy in the hot summer. Could never say thank you enough for the wonderful experience!!! We loved every minute of our tour of Modena with Manuela. From the moment we met her, her ability to communicate her knowledge and her enthusiasm and love for her country was outstanding. So much information, presented in such a pleasant manner. We had a remarkable time and 5 stars are not a high enough rating.!!!!!!! Manuela gave us an excellent introduction to the city of Bologna. Her presentation was interesting, informative - and fun. With her input, we were able to make the most of our time in Bologna. Manuela is articulate, informed a d inspiring. Manuela is always so good at adapting her tour to her guests' interests. She brought out the history and culture of Parma as well as the food. Excellent. Excellent orientation tour to the Modena city center. Manuela was very knowledgeable about everything we saw, and she gave me excellent recommendations for other things to see/do and places to eat. She met me at my hotel and made sure I knew how to get back there when we were finished, which I really appreciated! Thank you, Manuela, for a wonderful morning! Manuela is a truly exceptional guide. Her knowledge of this city is so extensive, and her genuine enthusiasm is palpable. We had an outstanding 4 hour tour with her. She is very professional and truly charming! Manuela habla un perfecto español y es muy entusiasta al realizar los recorridos y las explicaciones. Su conocimiento sobre la historia y gastronomía local es excelente. Mi familia y yo aprendimos bastante sobre Bologna durante esas tres horas de recorrido, gracias a Manuela. Visiting Ravenna with Manuela was an excellent experience. Her knowledge and explanations were brilliant and methodical. We would highly recommend her as a guide in Italy. We had a fabulous 1/2 day tour of Bologna with Manuela. She was extremely informative and certainly included some extras that we had requested such as visiting the Jewish ghetto and the synagogue. Manuela was extremely knowledgeable and also very sensitive to our particular needs. We leatn d a lot and enjoyed our visit to Ravenna enormously! My second tour with Manuela and again a great tour. So enjoyable and she was able to tie my previous tour of Mantua to that of Ferrara. Ferrara is a beautiful town. Easily walkable and Manuela brought its history alive. So glad I chose this tour with her. Highly recommend. Manuela is an expert on Mantua. What a great guide. I cannot imagine everything I would have missed without her insights. An extremely enjoyable tour in a gem of a city that is often overlooked. Do not miss! We took 5 different tours with Manuela. All were excellent. She is an excellent guide who knows her area very well and very passionate about it. I highly recommend her services. Thank you Manuela! Manuela was simply amazing, she had arranged the train tickets for me in advance and during our morning tour of Ferrara, she explained the history and the background of this amazing city. I would highly recommend signing up for this tour. She really knows the history, art and culture. It was such a delightful experience to tour both wonderful cities with Manuela. She knows so much about Bologna as well as neighbouring cities. Her wealth of knowledge in history and history of art was simply amazing. She explained each scenic sites very well and I would highly recommend her if you would like to get to know both cities during your stay in Bologna, but you must hurry as her calendars are already filling up for 2017! Manuela was a wonderful guide she was very knowledgeable and shared her knowledge with great joy. We loved spending time with her. Manuela was knowledgeable, appealing and quite informative. She contacted us personally both when we signed up for the trip and the day before to explain our meeting place. She was prompt, showed a real love for the buildings and mosaics we saw, and provided us with an excellent understanding of the history of Ravenna. Thank you for a very enjoyable experience, Manuela! Manuela is the BEST!. She is a 15 out of 5. She is one of the most historically knowledgable guides that I have ever had. The information that she conveyed to us and the manner that she did so was just incredible. I learned so much about an age and place that was of interest to me and that I had studied in recent years. Her enthusiasm and friendliness are unbeatable. I cannot say enough nice things about her. My wife and I had a terrific experience with her! Tours wonderful, knowledgeable. Terrific, energetic. Thank you so much. This was the second tour that I had with Manuela. Her knowledge of the monuments and history of Bologna, Parma, and Modena is incredible. She provides a great amount detail, which is something I like, about the architecture of the churches and the buildings in each of the cities. There was never a wasted moment, or a lull in the tour, it seemed that the time flew by. I really enjoyed this tour, and I recommend it and Manuela strongly. Manuela made Modena live for us, something only a very good professional can do as it's a Michelin one star, while Parma's a two star. She has an encyclopedic knowledge and shares it in an easily understood manner. Our shore excursion in Ravenna was marvelous. Manuela transmitted to us her passion and knowledge of the history and art of the city. She listened to everything we wanted to see and managed to do it in the time we had. Thanks once again for organizing a memorable visit! She is charming and incredibly well informed. Gave us a good overview of an important place. She worked hard to show us many things in our short schedule. Very punctual and watched our tight schedule carefully. I was an art history major so she jam packed a lot. Be sure to tell her the depth of tour you want. Thank you, Manuela. Manuela gave us a wonderful tour, with an incredible amount of specifics about the sights in Bologna. Bologna is a beautiful city with many interesting things to see. We had a great tour with Manuela and would highly recommend her to anyone wanting a tour with an experienced and well versed guide. A terrific tour of Bologna with Manuela. Manuela has an extensive knowledge of the city and region history, local culture and traditions, and of course the FOOD. Well organized, enthusiastic and with excellent English Manuela gladly adjusted along the way to tailor to our interests. Highly recommend her! Manuela was excellent. She was very knowledgeable, considerate of our needs and she had a great itinerary set up for the time we had available. We would highly recommend her and her services. We had a wonderfully informative outing with Manuela. She had a very full agenda to get us to "know" Bologna for the first time. What a great introduction! We would highly recommend her to anyone visiting Bologna. She is highly knowledgeable, enthusiastic and a pleasure to be with. Speaks 100% perfect English, and has a combination of enthusiasm and knowledge that made the tour both informative and fun. We had some last minute changes, and she was able to accommodate us on short notice. Happy to recommend. What a spectacular day we spent with Manuela. She was such a pleasure to be around and so very knowledgeable. A few in our group were apprehensive about taking a tour but I knew that it would be beneficial to learn some of the history and city facts rather than just wandering around on our own. We were staying in Parma so we only had 1 day in Bologna and this tour was the best way to spend that day. Manuela was really terrific!